Calling all dark chocolate and peppermint lovers! 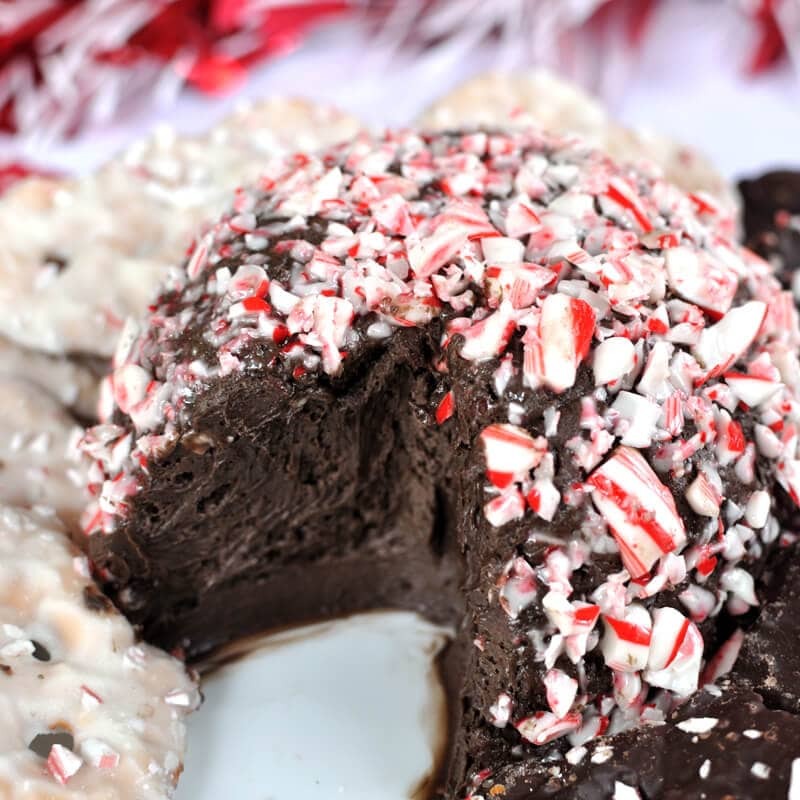 This peppermint mocha cheesecake cheese ball is a holiday treat all wrapped up in a cute little ball of sweet, minty goodness! I took this to a holiday potluck for work and it got stellar reviews by my co-workers. I had to show some major will power to keep from eating the entire thing myself 🙂 It’s a creamy, fudgy dessert full of peppermint flavor, dark chocolate, and espresso powder. 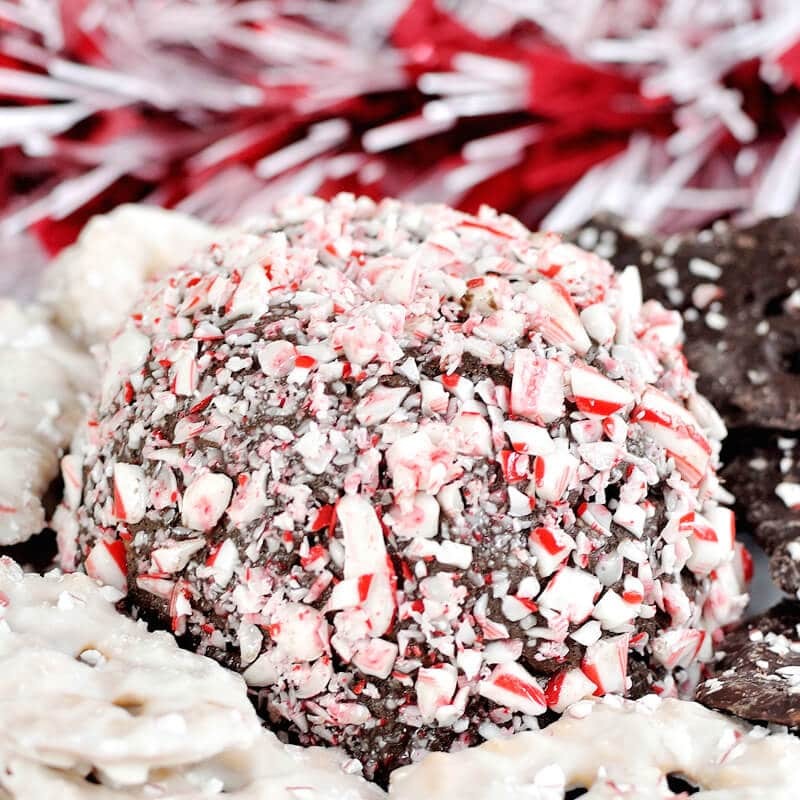 The cheese ball is made with peppermint extract and topped with crushed candy cane pieces for an extra dose of peppermint. 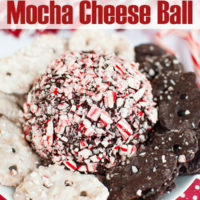 I really love how the red and white pop against the dark chocolate color of the cheese ball. It makes such a pretty presentation for a Christmas dessert table. 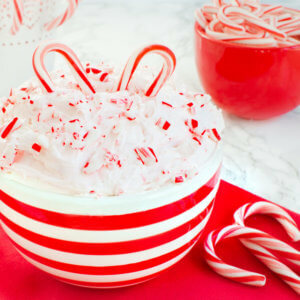 It is also a great way to use up extra candy canes after Christmas. Do you do anything unique during the holiday season? I live in a city that is known for neighborhood “tacky light” displays. There is an official “tacky light tour” list of houses in the area and the requirement to be on the list is that the house has a minimum of 40,000 lights. Limos and buses create official tacky light tour packages and parade around neighborhood streets. You can also map out your own route and drive yourself. Some houses even serve hot chocolate and there are some that have their lights synced up to music that you can tune your radio to. It really is pretty amazing. 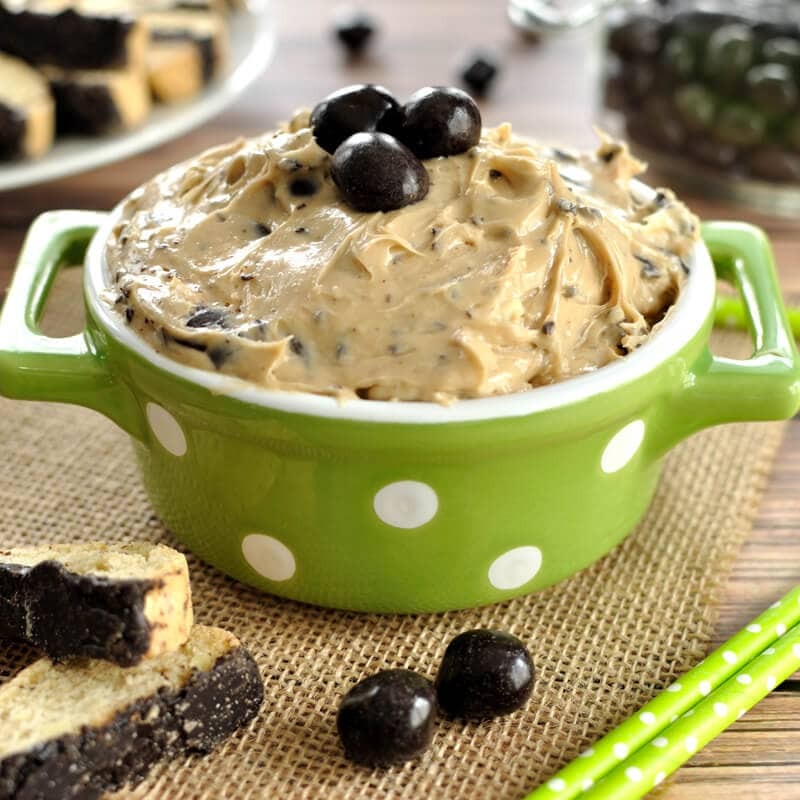 I love going to see all the lights.
. Chocolate covered pretzels, chocolate graham crackers, or vanilla wafers all go well with this dip. In a medium bowl, beat the cream cheese and butter until creamy. Add in dark cocoa powder, peppermint extract and espresso powder until well combined. 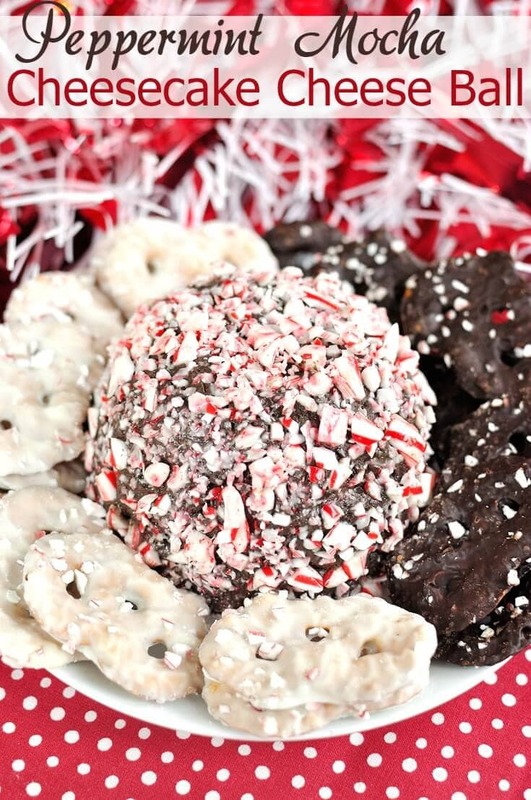 Serve this Peppermint Mocha Cheesecake Cheese Ball with covered pretzels, chocolate graham crackers, or vanilla wafers. Total time does not include time needed to chill the cheese ball. 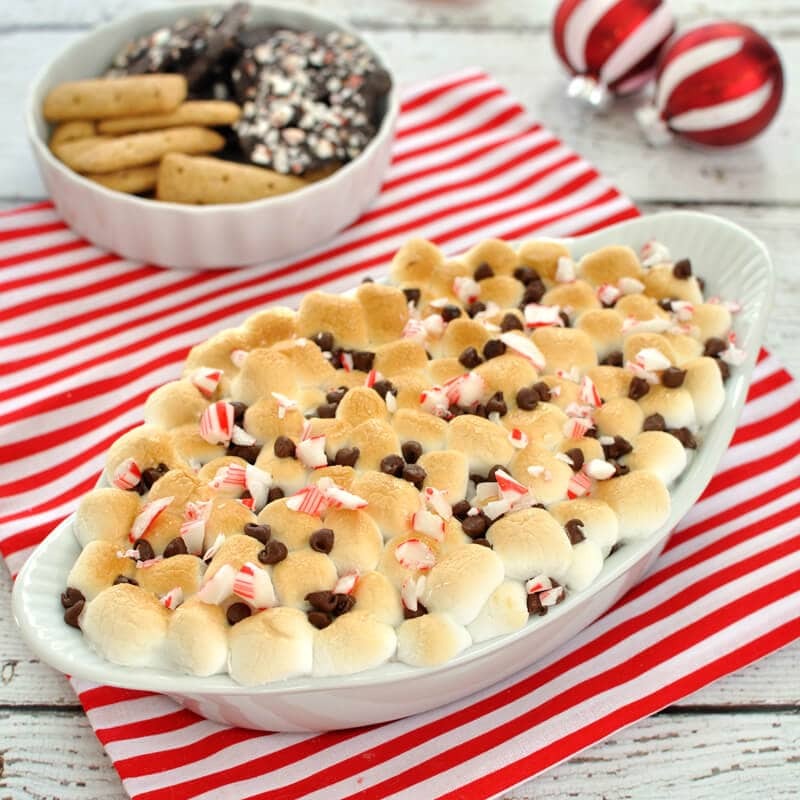 Alternatively, you could serve this immediately as a dip with the crushed candy canes sprinkled on top.